South Australian tennis legend, John Fitzgerald, visited the state this week as part of the ANZ Tennis Hot Shots Racquet Roadshow to deliver racquets to first year primary school students, thanks to ANZ. 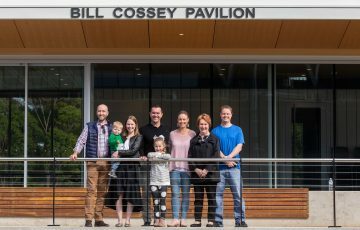 On Day 1, Fitzgerald was accompanied by Australia’s top ranked 13-year-old girl, Charlotte Kempenaers-Pocz (Glengowrie, SA), to deliver 54 racquets to students at Mount Compass Area School. South Australia’s top ranked 13-year-old boy, Edward Winter (Glenelg, SA), joined the ANZ Tennis Hot Shots Racquet Roadshow crew for Day 2, visiting Gawler East Primary School to hand out 56 racquets. Fitzy went on to visit to Elizabeth North Primary School delivering another 80 racquets. A trip to the Eyre Peninsula, Fitzgerald’s home region, was on the cards for Day 3 with 49 racquets delivered to St Joseph’s School Port Lincoln and an additional 20 racquets delivered to Tumby Bay Area School. Kempenaers-Pocz then led the final ANZ Tennis Hot Shots Racquet Roadshow session today at St Teresa’s School Brighton with 49 children receiving racquets. 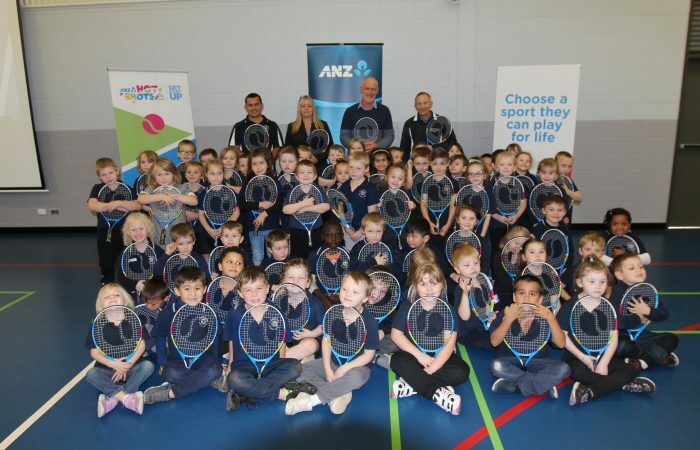 ANZ’s ongoing support of the new school starter racquet initiative has already seen 80,000 racquets delivered to first year primary school students since January 2017, with a further 30,000 to be delivered in 2018. More than 2600 primary schools across the country participate in the program as part of their health and physical education curriculum. 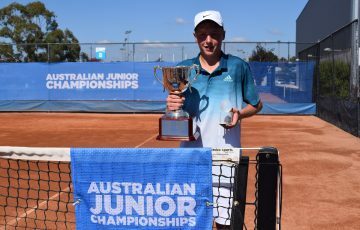 ANZ Tennis Hot Shots is one of Australia’s most popular sports participation programs for the five to 12 year old age group with a record 384,584 participants nationwide in 2016/17.